I recently came across Sue's blog "Let's Go Ted" after becoming a supporter for the Keep Australia Pet Friendly movement. 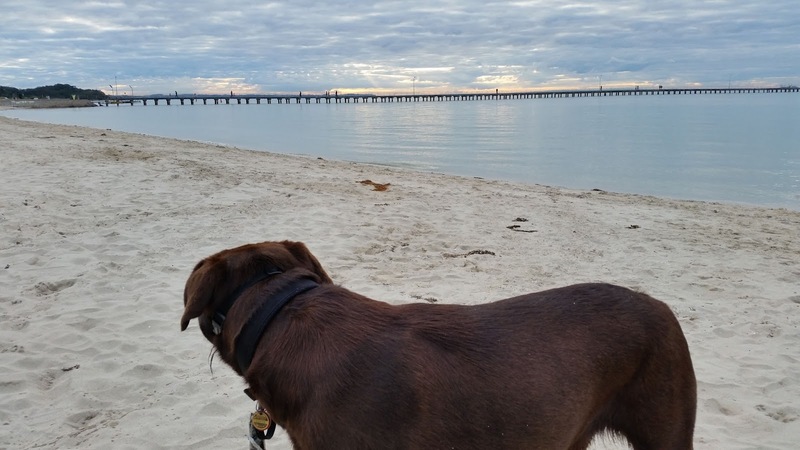 Sue and her choc lab Ted roadtrip around Australia looking for dog friendly accommodation and places to visit. Travelling with my pets was something I'd honestly never considered because I didn't think it was possible, but it seems I was wrong and there may be more of the world to discover with our furry friends! I thought it would be great to interview Sue and find out more about her travels and what it is really like to travel with Ted! 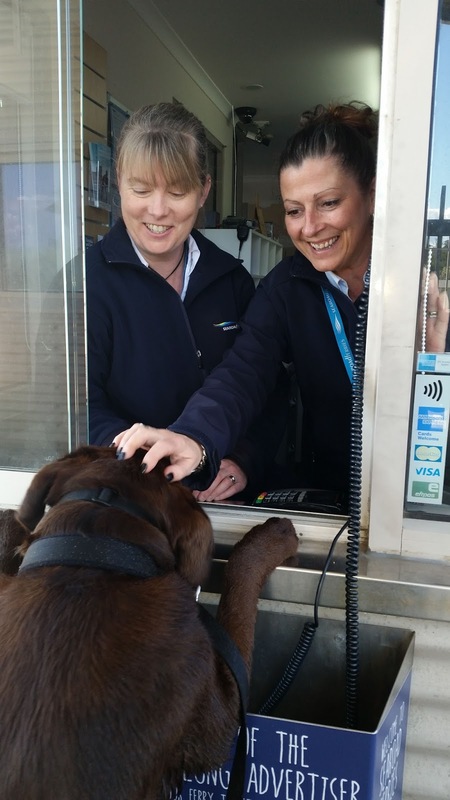 Lets go Ted is about a 16 month old Chocolate Labrador name “Ted” from Warrnambool Victoria that roadtrips around Victoria and beyond reviewing Pet Friendly Accommodation ,places to visit and Dog Events. 2. Why did you start blogging about travelling with Ted? It was a long weekend roadtrip in June this year that prompted my blog. I love getting away on mini breaks, and with the rest of the family busy with work or sporting commitments that just left Ted and myself . I booked pet friendly accommodation in Benalla, Adelong and Bright, located in the Victorian/New South Wales national parks. 3. What was your first trip with Ted like? To be honest I was a bit nervous about my first trip with Ted. He had been on one long car trip but he was only 8 weeks old when we first picked him up from Phenwick Labradors in New South Wales. That was 7.5 hours from our home in Warrnambool but he was content then to sleep and play with his soft toys, with a toilet and drink stop every couple of hours. For this trip I packed enough dry food, water, a spare lead and collar, some old towels and his bed. Something I thought was a good idea was I brought new toys one for each day, and the plan was if he played up in the car I would give him a toy. But he was better on a longer trip than around town at home! So after giving him a good walk before heading off he slept for the first 2 hours of our trip. And that pretty much became his pattern, I would stop at a roadhouse or park where he could go to the toilet have a walk around and a drink. The sleeping part was always going to be tricky as Ted is an outside dog and had probably only slept inside once or twice. After a couple of attempts trying to settle Ted inside, I resorted to the car. 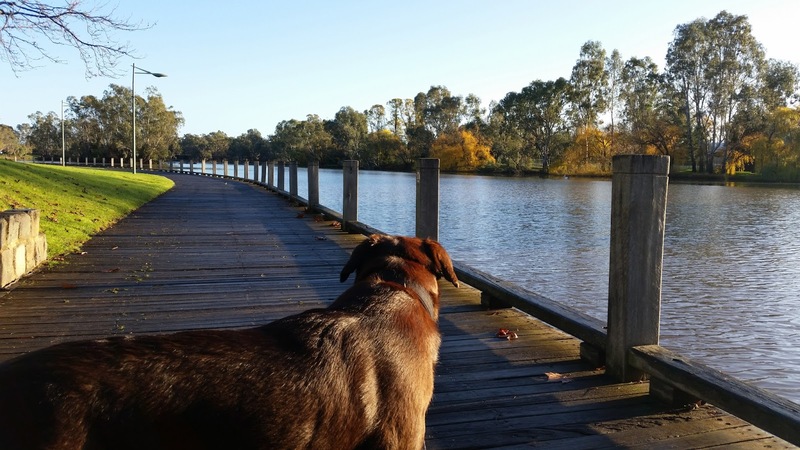 Ted and I got out for a number of big walks, including a 5km walk around Lake Benalla and a stroll through the many paths and tracks of Bright. Even though I was on my own, I never felt lonely especially not in Bright so many people with their dogs stopped to chat. I honestly believe people are friendlier when I have Ted. 4. Have you found it difficult to find pet friendly accommodation on your travels? Finding pet friendly accommodation hasn’t been difficult but it can been time consuming, going from site to site and finding one that is suitable and a reasonable price. The main things I look for are a secure high fence and quiet central. This got me thinking how good it would be to have pet friendly accommodation on one site. 5. What about the costs? Is travelling with a pet expensive? No travelling with a pet is no more expensive than with a child. Normally you would pay extra for a child or cot, it is the same for a dog. Most places seem to charge an extra $15 – $20 for a dog. 6. Having done some trips with Ted, would you recommend others take their pets on holidays with them? Yes I would definitely recommend taking your pet with you on holidays, they are part of the family and it is great including them in new adventures and fun times. I must admit some nights with Ted is like getting a 2yr old child to sleep in a strange place, but by the next morning you have forgotten all about it. 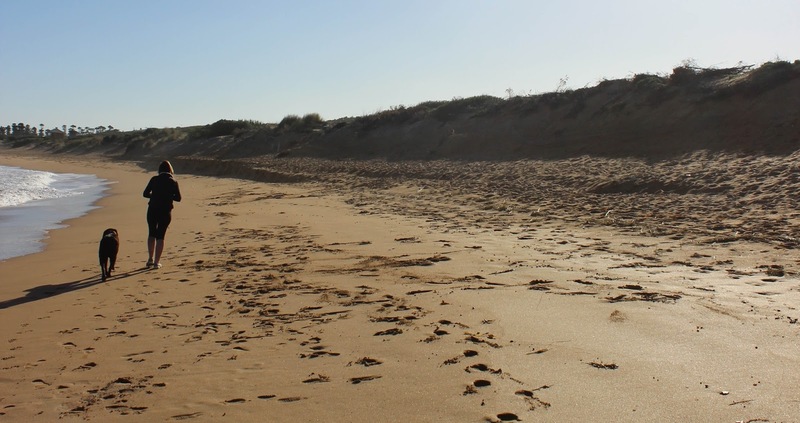 Ted has already crossed the ocean on a Searoad Ferry from Sorrento to Queenscliffe and his next big adventure will be on a Paddle Steamer up the Murray River at Echuca. 7. What are you hoping to achieve with Let's Go Ted in the future? I have big plans for Let's Go Ted in the not too distant future. 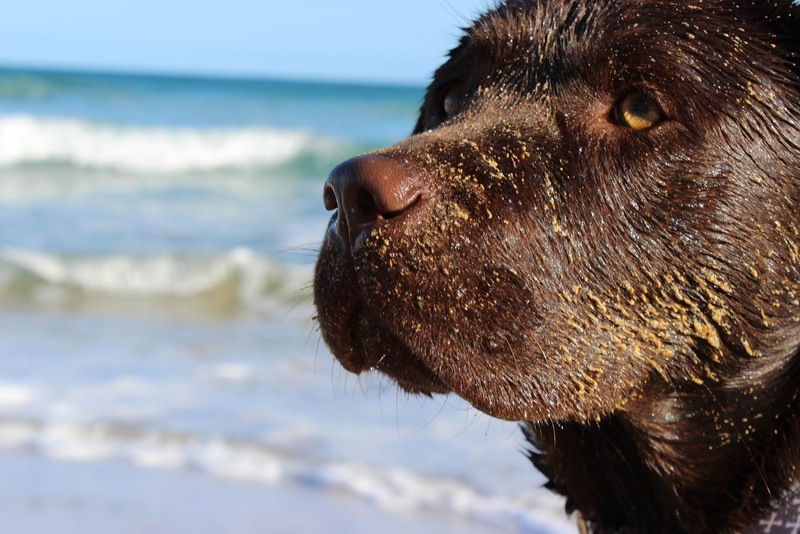 With a website, app and a printed version of Pet Friendly Accommodation in Australia to come! 8. What advice do you have for others out there who are considering travelling with their pets? My advice is to think about their pet as if they were a 2 year old child; everything you face with a child you will face with a dog. You can’t let them out of your sight, you cannot leave them on their own when your away from the accommodation. This is no different to if you had a child. When packing for your dog, it is just common sense really, a container of water, dry food is best when travelling (not canned or fresh), extra leads, collars and some new toys (introduce one each day if you have too). I also pack some “bully sticks” or a long lasting chew. On my first trip I was nervous taking Ted through Melbourne and had them on hand incase he was playing up, but I didn’t need to. Probably going to extreme but I also looked ahead to what Veterinary Clinics were in the areas I was going to, just in case. In the late 1980’s I travelled around Australia with my bull terrier Pablo. Back then it was for protection and although there were times when it was hard work, I would never have left him at home. Now I travel with a dog not for protection but because “Life is better when I’m with Ted”!